A visit to JW Marriott’s Bengaluru Baking Company is a great way to tuck into culinary delights. And make no mistake this is not just a cafe that serves desserts and coffees but much more. The cafe has a large selection of beverages as well including some delectable teas, single origin coffees as well as milkshakes, signature cocktails and freshly brewed beer from the in house micro brewery. “We also have some kid friendly options like the Oreo and Toblerone shakes that are a big hit. Our signature drink is the Chikmangalur Cold Coffee where we use frozen coffee cubes,” says Rajesh Durai, Restaurant Manager. I did sample this drink and can say it is quite unique as you are given a glass filled with coffee ice cubes along with small portions of milk, coffee decoction and sweetened water. The cover of the menu here reads ‘Love at first bite’ and you can be assured that a truer word has not be spoken after you eat your meal. Being vegetarian Chef recommended that I start with salads. 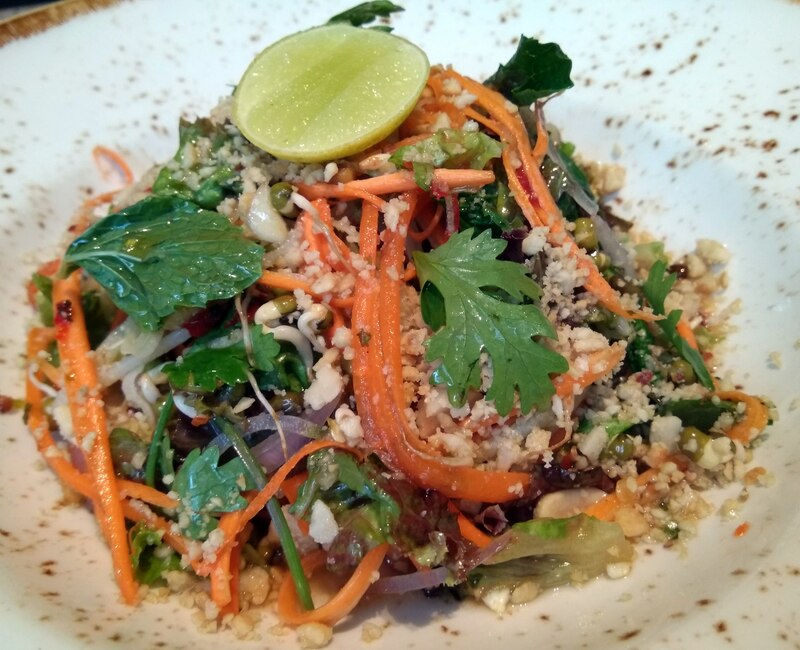 The signature Asian Chopped Salad is made with cucumber, lettuce, carrot, onion, mint, coriander, bean sprouts and peanuts with a dash of thai red chilli has a tangy, sweet and spicy flavour. The melange of flavours makes for a salad that is as refreshing as a walk in the neighbouring Cubbon park (just like the menu promises). 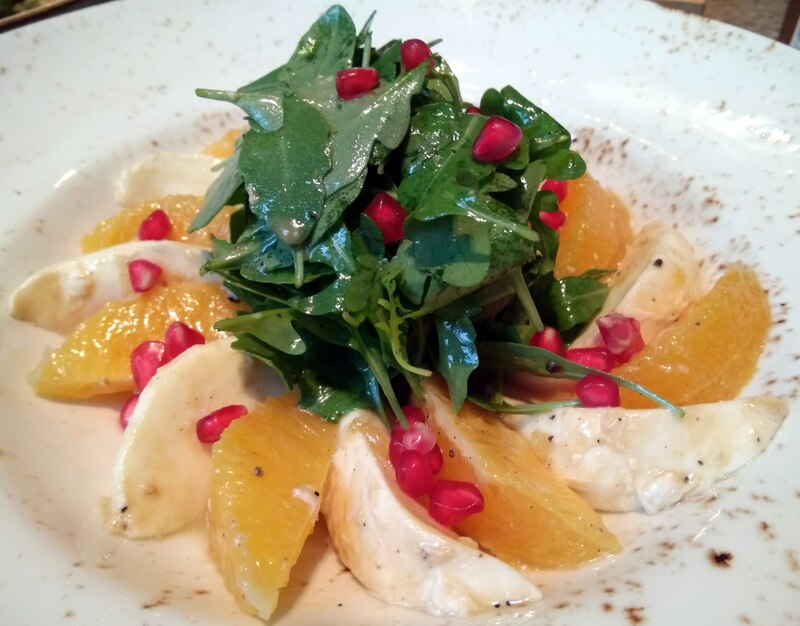 I also suggest the Orange Capresse salad made with orange, mozzarella, basil, rucola, pomegranate and honey and the delicate flavours of the orange and cheese combine together beautifully. Among the sandwiches the big hit is the BBC Bombay Sandwich layered with spiced tomato mash, onion, beetroot, cucumber, tomato, cheese and mint chutney. Served with crisp french fries and a crunch salad, the four pieces are a meal by itself. The winner here of course id the superlative taste of the sandwich. 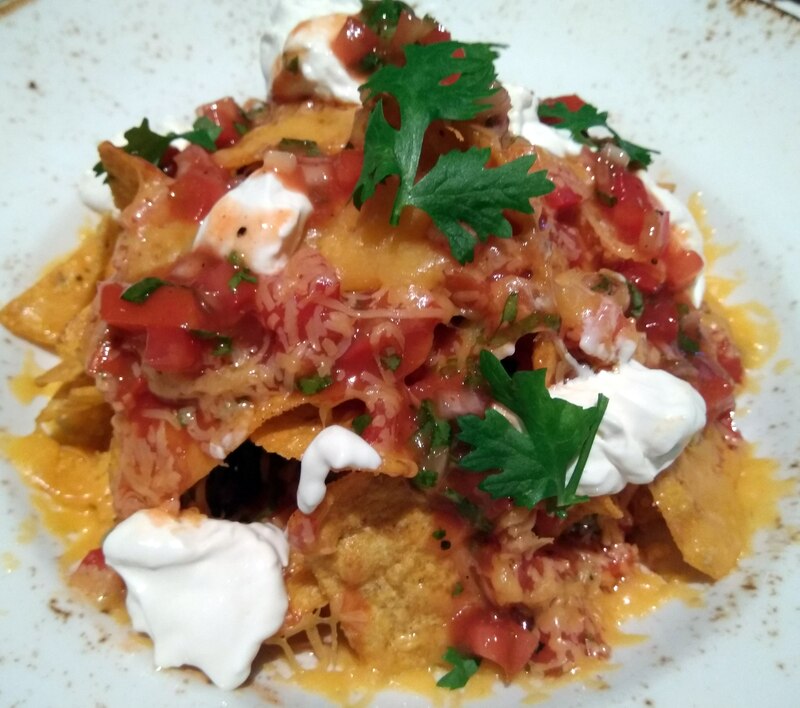 For appetizers you can choose from a large selection but I suggest the Nachos and Cheese a melange of Cheddar, Jalapenos, sour cream and salsa. Kathi Rolls, Burgers and Pasta are also on offer. 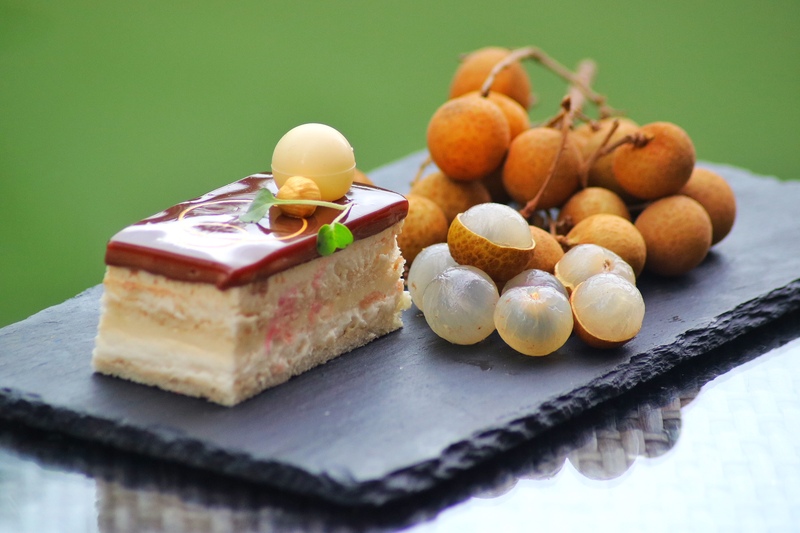 Since I was here for a promotion of desserts inspired by season’s tropical fruits Lychee and Longan I also sampled a couple of delectable desserts that were absolutely delicious. “When we started the new menu, we wanted to make this a place that is as comfortable for corporate guests as it is for youngsters who want to relax is a chic environment. 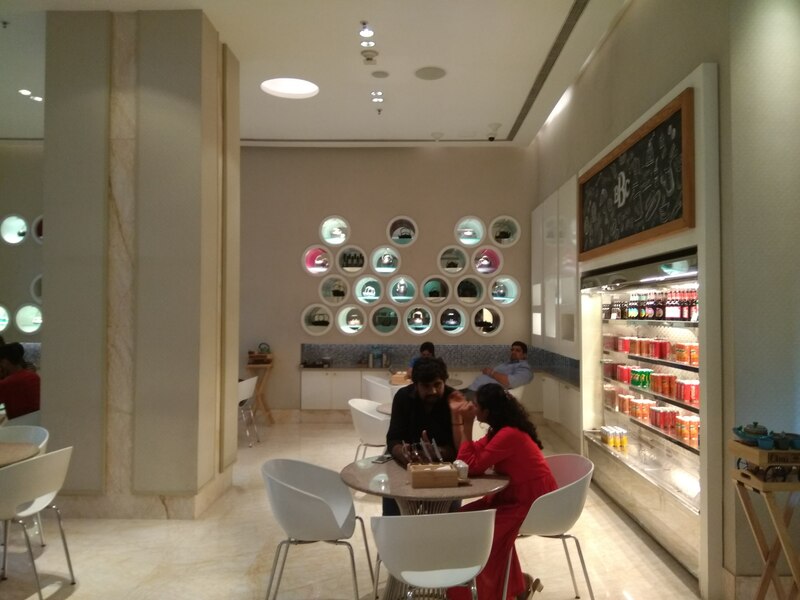 Also the value perception is clear as we use top quality ingredients at great prices so the idea is to make the place more inclusive and accessible,” says Anirudh Amin, Chef De Cuisine, Bengaluru Baking Company at JW Marriott. The 78 cover cafe is open from 9:00 am to 11:30 p.m. Looking ahead the cafe is all set for its next monsoon promotion soon. There are promotions that happen every month that cover at least two weekends. For details and reservations click here.